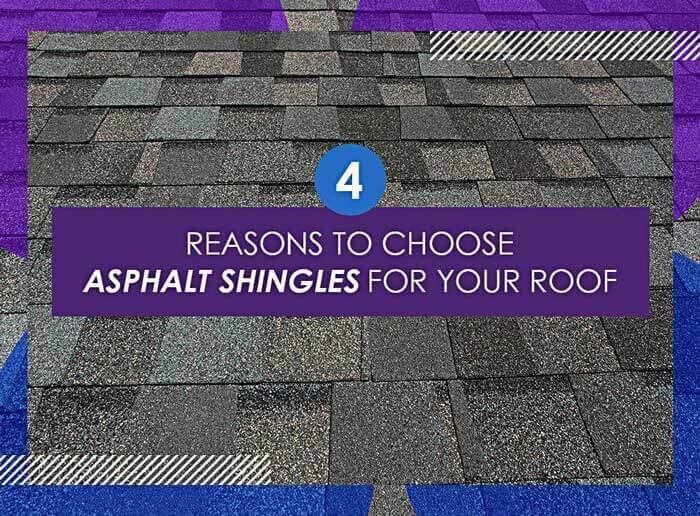 Modern asphalt shingles offer the perfect balance between function, cost, and beauty. Even the most basic three-tab shingles offer excellent long-term protection. Along with a variety of beauty options from different manufacturers, today’s homeowners aren’t likely to run out of choices. Now with improved lifespan – Modern asphalt shingles have improved leaps and bounds over their predecessors, with lifespans averaging 20 to 30 years with proper care and maintenance. The same shingles have also proven to be resistant to normal wear and tear, maintaining their beauty throughout their service lives. It’s more durable – Nearly every asphalt shingle roof product, including those sold by leading manufacturers IKO® and Owens Corning®, are tested to withstand hurricane-level winds and extreme temperatures. Complete roofing systems now have specialized ridge caps, whereas ridges are traditionally covered using cut-up shingle mats. They also use features that allow venting trapped heat and moisture from the attic, preventing ice dams. It helps reduce your electricity bills – “Cool roofs” are basically roofs that block heat from the sun and radiate already-absorbed heat, significantly reducing the amount of heat that does get through to the attic. To maximize these features in the past, one had to choose a solid white roof, which was then only available as membrane roofing (like the kind used on flat and low-slope roofs). Now, with asphalt shingles such as IKO Cambridge™ Cool Colors and Owens Corning Duration™ Premium Cool shingles, you can enjoy the benefits of cool roofs without sacrificing color selection or changing your roof’s slope. It’s environmentally friendly – Asphalt, also known as bitumen, is one of the most recyclable materials in the world, and, unlike plastics, it doesn’t degrade every time it gets recycled. This infinite recyclability doesn’t just help reduce the demand for imported petroleum, it also reduces the amount of discarded roofing material that ends up in landfills. Kroll Construction is one of the few roofing contractors certified by leading asphalt shingle manufacturers IKO and Owens Corning. To know more about our asphalt shingle roofing options, call us today at (888) 338-6340 or fill out our contact form to schedule a convenient time for a free estimate. We serve many areas in and near Detroit.